Friday and Saturday the team went to Duluth for the Gitchi Gummi Competition. 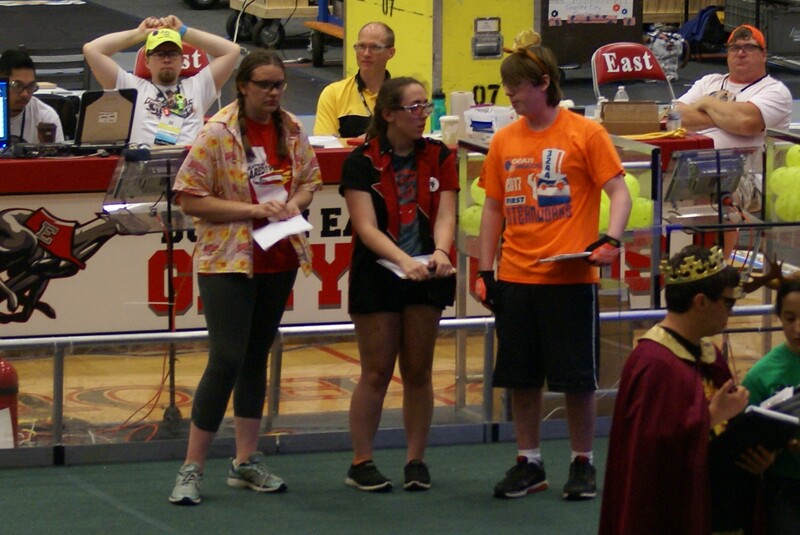 The team made it to elimination and we got to be captains for the first time. This means that we were able to pick our alliance partners. 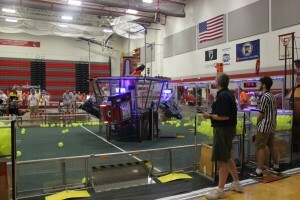 We chose team 2846, the Firebears, and team 2512, the Duluth Daredevils. As the alliance ranked 3rd, we faced the 2nd alliance and beat them. 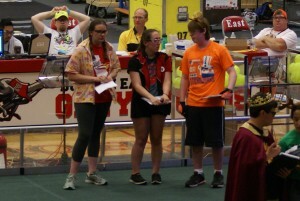 Next we went up against the 1st alliance for the finale. 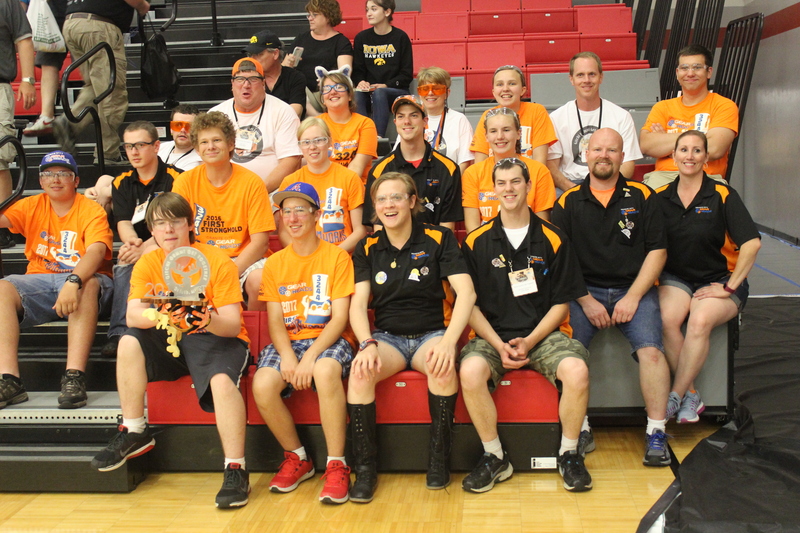 Our alliance won the first game, lost the second, and won the third. We became the champions of the Gitchi Gummi Contest of 2017! It was the first time we have ever made it to the finale at Gitchi Gummi, and we won. Once we were done loading the robot and our pit up, we went to Canal Park and watched boats go under a draw bridge. We all celebrated our win in our own ways, but as a team. It was a great time for our mentors, coach, and students. Especially for our newest members to get to be a part of a winning team. We all had a blast and did our best and it payed off. The representative of the 3rd place alliance. 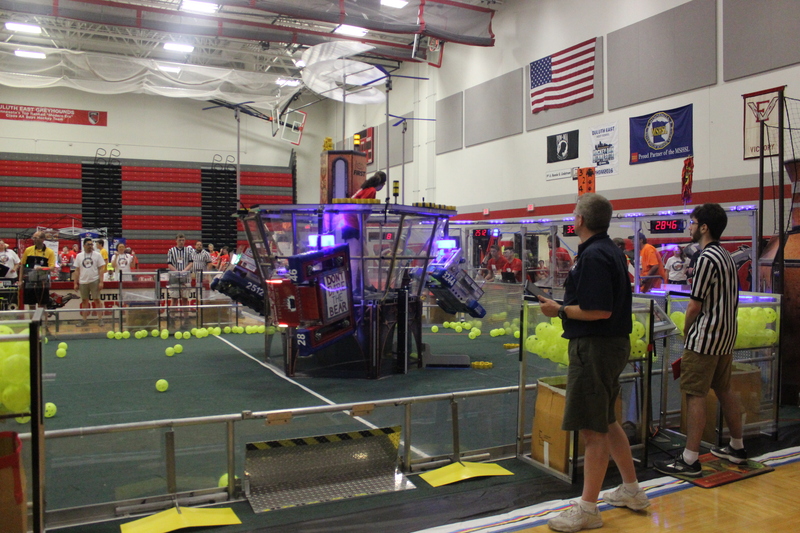 All 3 alliance robots climbed the ropes. The team with the 1st Place trophy.